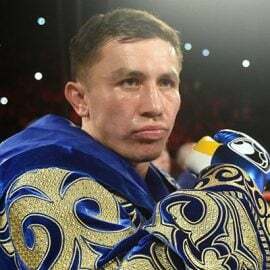 This is a continuing series of articles that looks at how the boxing world is adapting to the next technological age of broadcasting. 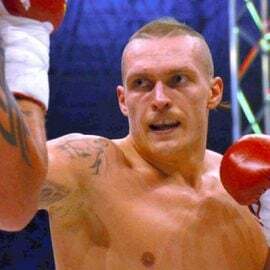 Evan Rutkowski is a former HBO Sports marketing executive and host of the Fistianados Podcast, which looks at the business side of boxing. Click here to read the first commentary piece of the series. 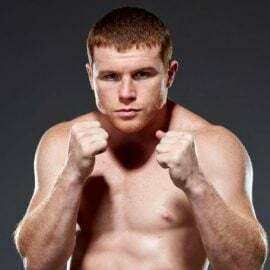 The boxing TV landscape has shifted significantly in 2018 with all kinds of new deals on streaming services, but perhaps none will be as important to the future of the sport as the two recent network TV deals made by Top Rank on ESPN and Premier Boxing Champions on Fox. Several weeks ago, ESPN announced that they were re-doing their initial four-year deal with Top Rank and came to terms on a new seven-year deal. 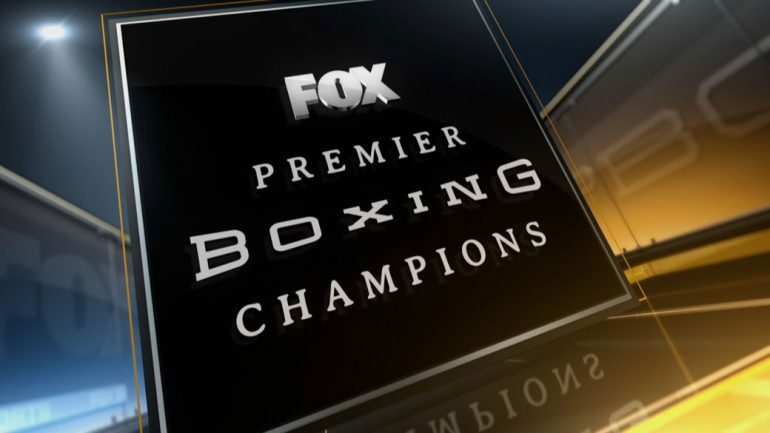 More recently, Fox and PBC announced a four-year deal where PBC will receive a significant license fee to put fights on both Fox and FS1. Top Rank’s deal with ESPN has already proven to be a success, and if the PBC deal with Fox follows suit it would mean that multiple networks are having success selling advertising against high-level live boxing for the first time in decades. Combine that with the rise of streaming services and HBO’s exit from the sport, and pay cable’s massive influence in the sport is waning in an unprecedented shift. Boxing at a high level had long been ignored by networks like ESPN and Fox, so why are these deals being made at a time when fight fans will have more options than ever to watch the sport? It’s a complicated issue, so let’s take a look at these deals and how the sports media landscape has changed. 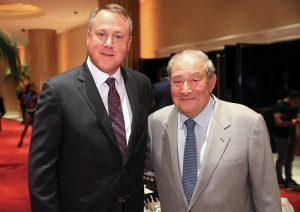 Bob Arum (right) and ESPN’s executive vice president of programming Burke Magnus are a happy team. The new ESPN deal with Top Rank is as much a commentary on how much rights fees have gone up for mainstream sports as it is an indication of how successful boxing has been on the cable network. Right now, each year ESPN spends about $1.9 billion on the NFL, $1.3 billion on the NBA and $700 million on MLB. These deals are important to ESPN, and there is no question that Monday Night Football games and NBA playoff games bring huge audiences to the cable network—Monday Night games average around 11 million viewers. While the cost of major sports have increased considerably over the last 10-15 years, boxing rights haven’t increased much. Taking a closer look at the audience numbers, it gets easier to see why ESPN wanted to keep Top Rank boxing in the fold for longer. 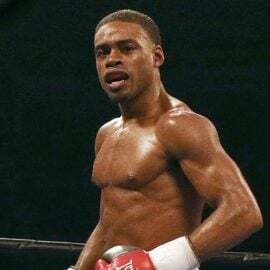 Top Rank boxing on Saturday nights has regularly drawn numbers in the 600,000-800,000 viewership range, and even on the low end still topping 500,000. For Saturday nights, long considered to be the worst night of TV viewership, this type of viewership is very solid, comparing really well to other sports. 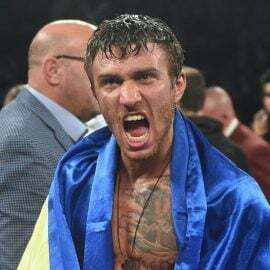 Some of the bigger shows featuring Lomachenko have seen numbers peak at over 1.7 million viewers, and the Pacquiao-Horn show averaged over 3 million viewers, peaking at over 4 million. MLB on Monday and Wednesday nights regularly draws less than 500,000 viewers, coming in below even the lowest-level Top Rank shows, and the flagship Sunday Night Baseball still usually ends up in the range of Top Rank’s biggest shows, between 1.5 and 2.2 million viewers. NBA regular season games on ESPN also hover at the level of Top Rank’s biggest shows, drawing between 1.7 and 2 million viewers. Given the yearly cost to get about 100 games, including the playoffs, it’s no wonder ESPN was so excited to give Top Rank a new deal. Top Rank’s Saturday night shows deliver comparable numbers to the major sports at a fraction of the cost, and this doesn’t even include the programming for ESPN+ where Top Rank’s programming has been one of the early pillars that the streaming service has used to already pass 1 million subscribers. 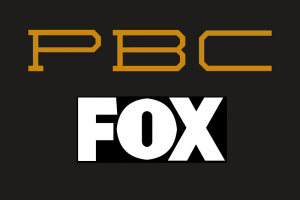 Fox’s deal with PBC is part of a much larger programming strategy shift for the network as it looks to capitalize on live and unscripted programming. Fox will now broadcast NFL on Thursday nights and Sunday afternoons, WWE Smackdown on Friday night, the MLB postseason and College Football during the fall, and now boxing on Saturday nights. This extends beyond sports, as Fox has said publicly that it has increased its unscripted budget by 50 percent during 2018. PBC has capitalized on this new strategy with a deal reported to be over $60 million per year with 10 fights on Fox, along with at least 12 fights on FS1 per year. There are many reasons this is significant for the sport of boxing—it’s the first major license fee deal on traditional network TV in decades, it’s the biggest platform with the largest audiences, and the budget will allow for competitive license fees with anyone. The most interesting part of this deal is how it fits into this overall strategy shift at Fox, which gives it the highest level of variance of any TV or streaming deal in boxing. 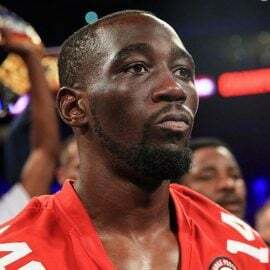 If Fox successfully becomes the universally recognized home for sports and unscripted entertainment, this deal could be the most successful boxing TV deal in the market, providing PBC fighters with lots of other opportunities besides a larger audience and a bigger platform. These other sports along with the WWE will have audiences that will profile as good candidates to cross over into boxing, plus there will be studio shows and the potential to do PPV fights which could be promoted uniquely well if there is the right commitment. While $60 million is a lot in the boxing world, it’s actually what Fox is paying per game for the Thursday night football package —$660 million for just 11 games (they pay significantly more for the Sunday package). They will also pay $205 million for 52 Friday nights of WWE Smackdown. The risks that come with this deal, however, are high. PBC will need to dramatically improve both the quality of the fights and the audience numbers delivered during this new deal compared to what they were doing during their time buy on Fox. 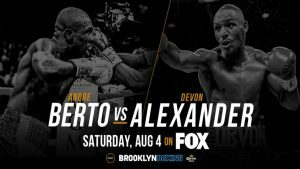 The most recent card from the time buy was the August 4th card featuring Andre Berto’s win over Devon Alexander, which averaged 941,000 viewers, peaking at 1.26 million, and that won’t be nearly good enough for this kind of deal. While PBC has the largest roster of quality fighters to provide, it will surely be a delicate balance to keep both Fox and Showtime happy. WWE Smackdown averaged far more viewers on USA—around 2.6 million—and early estimates are that the audience numbers would only increase with the move to network TV. Also, if this programming strategy shift doesn’t work, boxing will likely be a casualty, as its more modest deal will hurt rather than help it. Network execs will be focused on the larger deals with more at stake and want to ensure properties like the NFL and Smackdown get the necessary buzz to succeed before they turn their attention to boxing. The overall landscape of sports media rights the last 10 or 15 years has seen the cost of live sports rights skyrocket for all of the major sports, and for good reason. As DVR viewing and streaming services like Netflix have become more popular, live sports offers one of the best opportunities for advertisers to guarantee that their commercials are seen by an engaged audience. 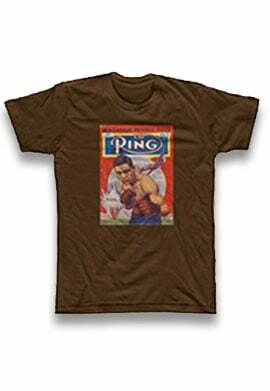 Anyone who has watched Top Rank boxing on ESPN has seen bigger brands run ads during the fights, which is a promising shift from what was happening several years ago on Friday Night Fights—and vital to boxing’s future. Traditional network dramas and comedies are expensive to make and have lost viewership, leaving networks to look at other sports rights beyond the established leagues. Boxing has filled this void well, and now the sport’s future looks very promising on both network TV and streaming services.